Quiznos, the American pioneer of the toasted sandwich, has gone back in history to discover Gyrocles, faux Greek god and inventor of the ever popular gyro! To celebrate, Quiznos is making more history with the introduction of three new modern gyro options. 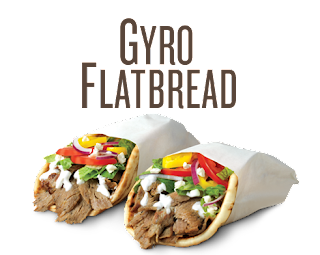 Inspired by an ancient Greek legendary tale of the gyro, Quiznos will offer customers the opportunity to try its new gyro flatbread for free with purchase on October 25 at all participating U.S. locations. Inspired by the traditional gyro served by Zeus or his human friends in Greek street food carts, Quiznos folds flavorful, seasoned beef and lamb into a pillowy flatbread, tops it with lettuce, tomatoes, red onions, feta cheese, banana peppers and creamy cucumber tzatziki sauce. 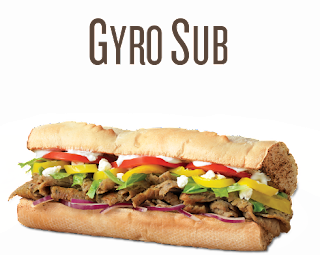 For those who prefer their gyro to act more like a Greek “hero” – sandwich, Quiznos layers slices of seasoned beef and lamb into its traditional toasted hoagie roll and tops it with lettuce, tomatoes, red onions, feta cheese, banana peppers and creamy cucumber tzatziki sauce. 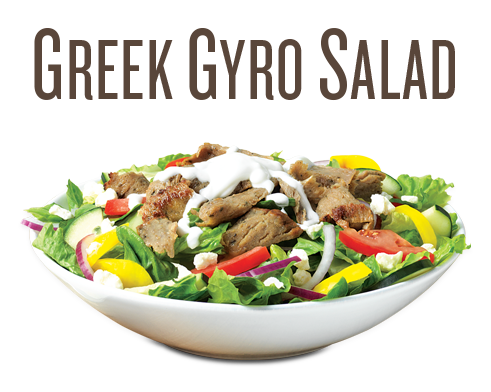 Appealing to those who prefer more greens, Quiznos tops fresh romaine lettuce with slices of toasted beef and lamb gyro meat, tomatoes, red onions, feta cheese, banana peppers and creamy cucumber tzatziki sauce. 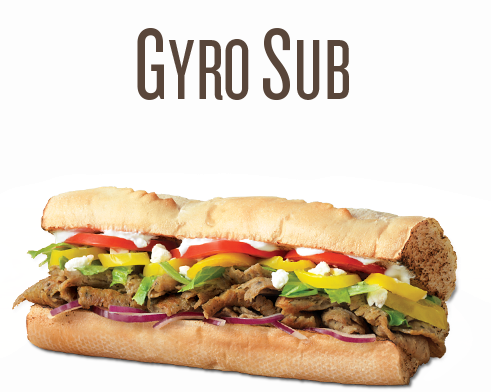 All of Quiznos’ gyros taste as delicious as they sound. And, gyro lovers who are interested in limiting calories or fitting into slimmer togas will be glad to know that Quiznos’ Half Greek Salad is only 350 calories. All three gyro options, along with the entire Quiznos menu, are eligible to accrue points on Quiznos’ new loyalty mobile app, Toasty Points. The app is available for download on iOS and Android devices at quiznos.com/toastypoints, and signing up automatically rewards guests with a free four-inch Quiznos sub, or Gyro Flatbread, with any purchase. About QuiznosFounded in 1981, Denver-based Quiznos is a chain restaurant designed for today's busy consumers who are looking for a high-quality, tasty, freshly prepared alternative to traditional fast-food restaurants. With locations across the United States and 34 countries, Quiznos is one of the world's premier quick-service restaurant chains and pioneer of the toasted sandwich. Quiznos restaurants offer creative, chef-inspired sandwiches and salads using premium ingredients. Rewarding fans through Quiznos loyalty app, Toasty Points, guests can earn and redeem points for free Quiznos menu items at participating locations. For more information, please visit quiznos.com/toastypoints or www.quiznos.com, connect with Quiznos on Facebook or follow on Twitter or Instagram. No coupon is required. Limit one per guest. All gyro menu items are available now through January 2018.